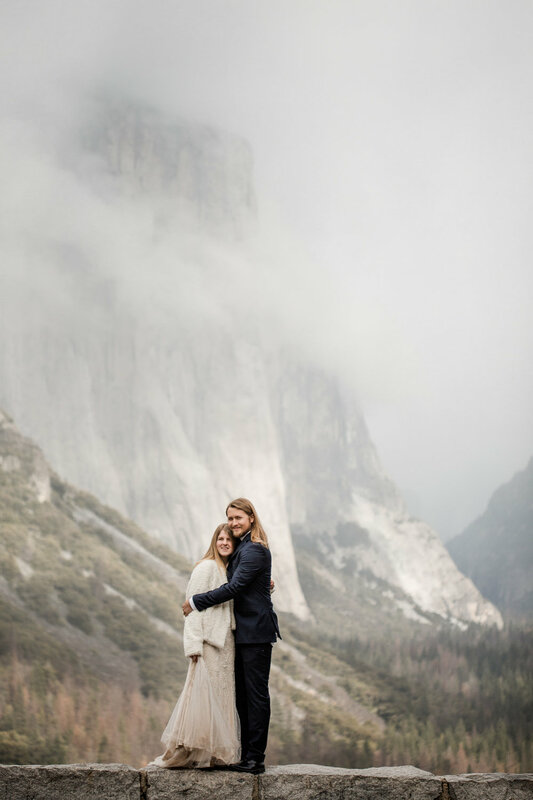 This elopement wedding in Yosemite national park last winter, was all things moody, foggy and dramatic. 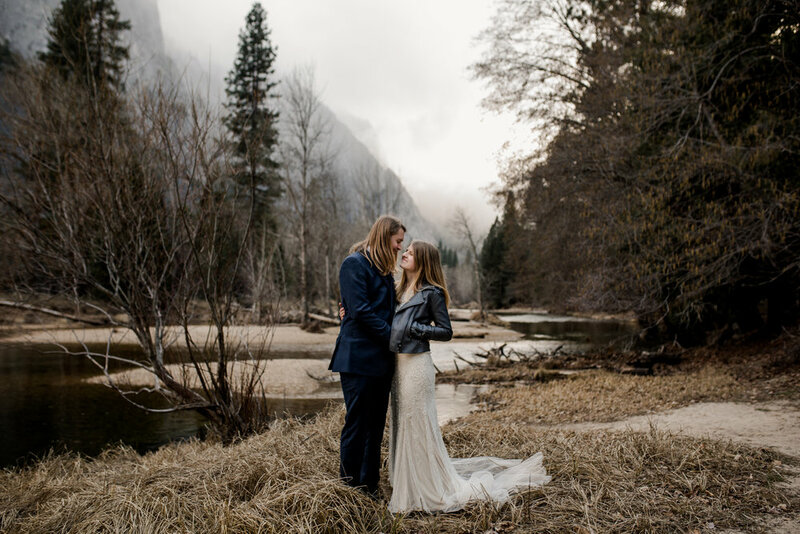 If you need inspiration or reasons to elope in Yosemite in the winter instead of spring, summer or fall, this will give it to ya! 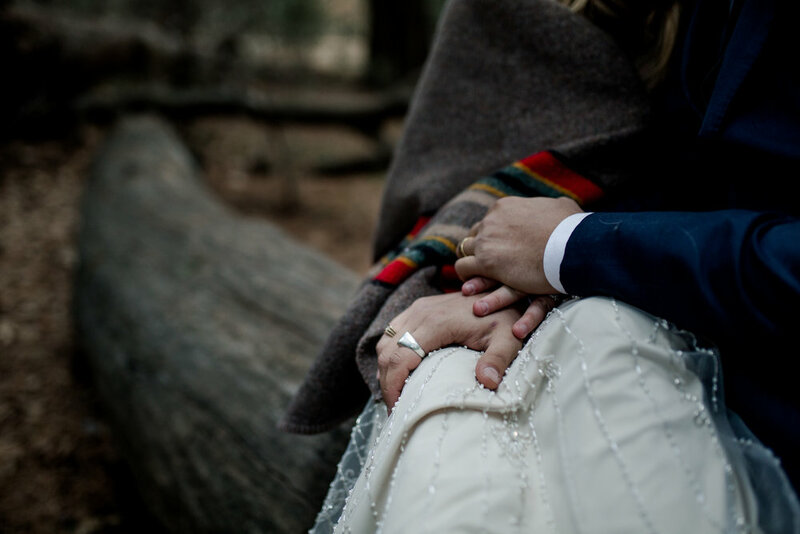 The morning of this shoot we panicked that it might not happen because of snowfall that had occurred that morning. 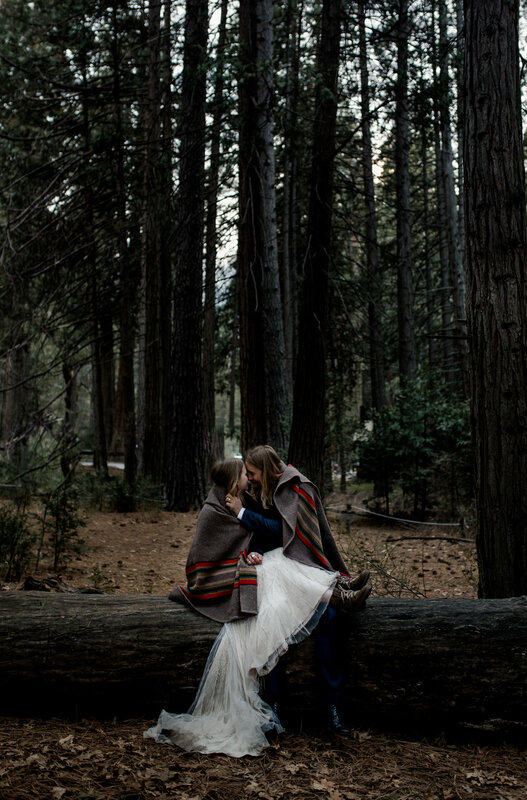 It shut the main road down, prohibiting us from getting into Yosemite Valley. Luckily, as the day progressed, the road opened up for all wheel drive vehicles and we were able to get in! 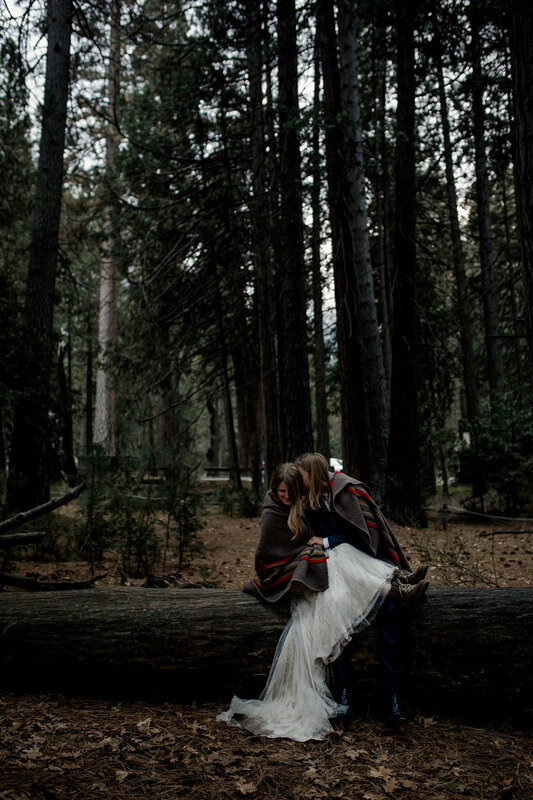 We were extra lucky for two reasons. 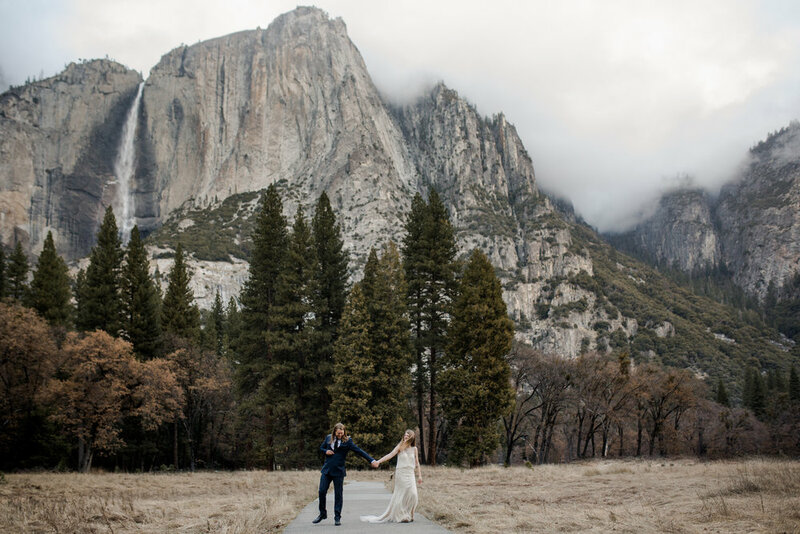 The snow had caused most of the tourist that were visiting Yosemite in the winter, to stay huddled in their cabins, so yay for no tourists! 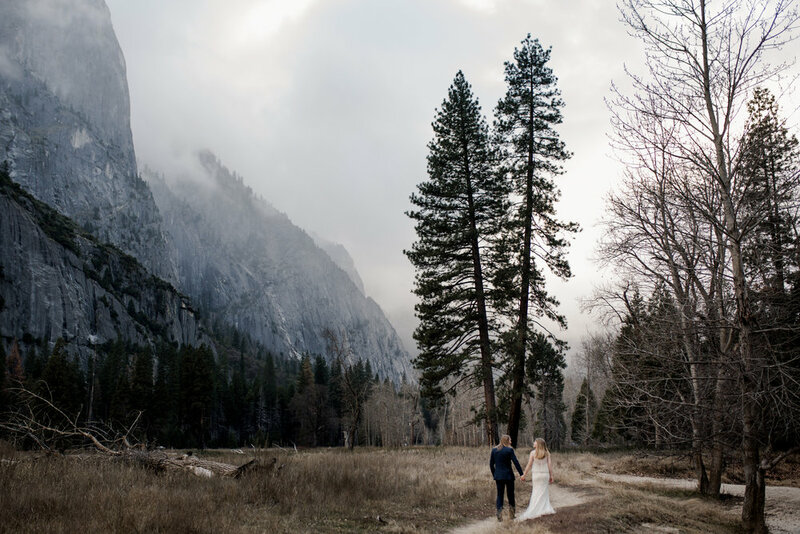 Also, the weather pattern created the most beautiful, dramatic, foggy and moody clouds that swept through the valley like ribbon. 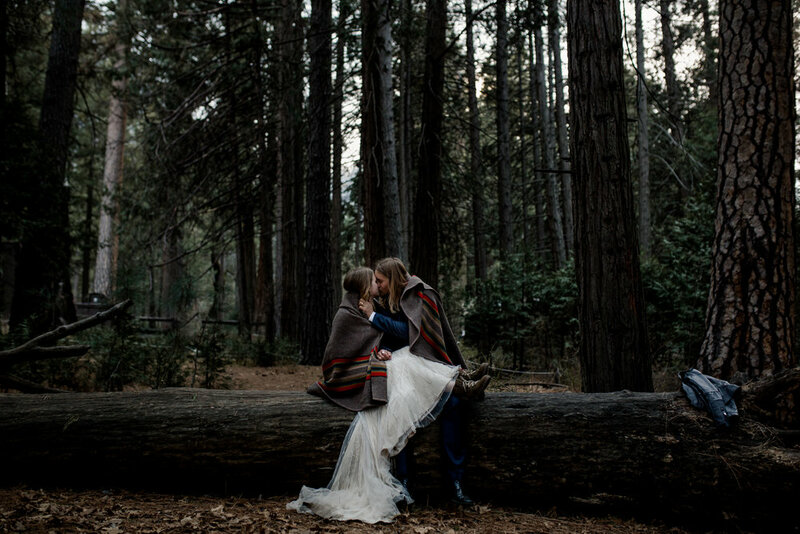 It was incredible to watch and even more incredible to photograph. 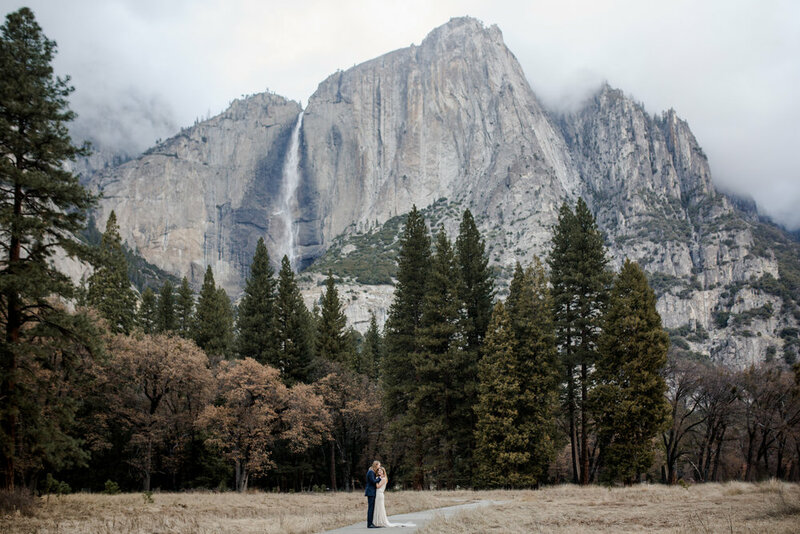 Yosemite is beautiful at all times of the year, but winter is probably the last time most people who are eloping in Yosemite think to go. 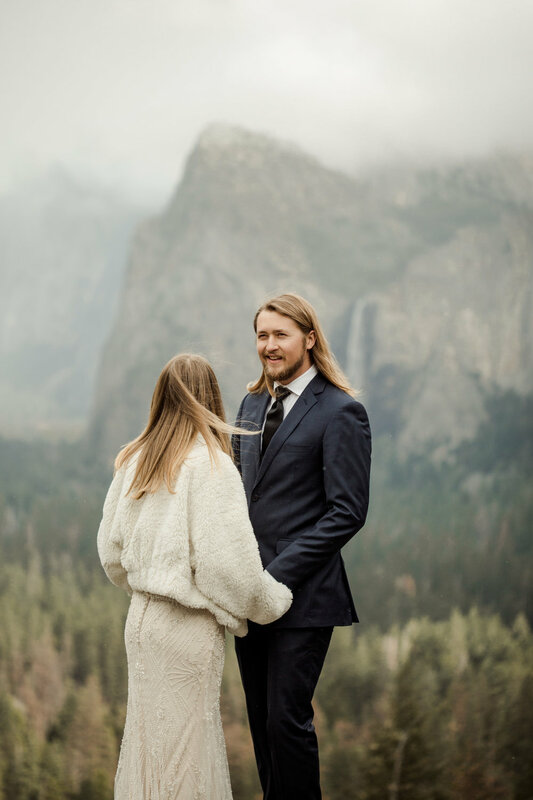 Hopefully this winter elopement shows you that eloping in Yosemite in the winter months, can be just as beautiful as any other time of the year! 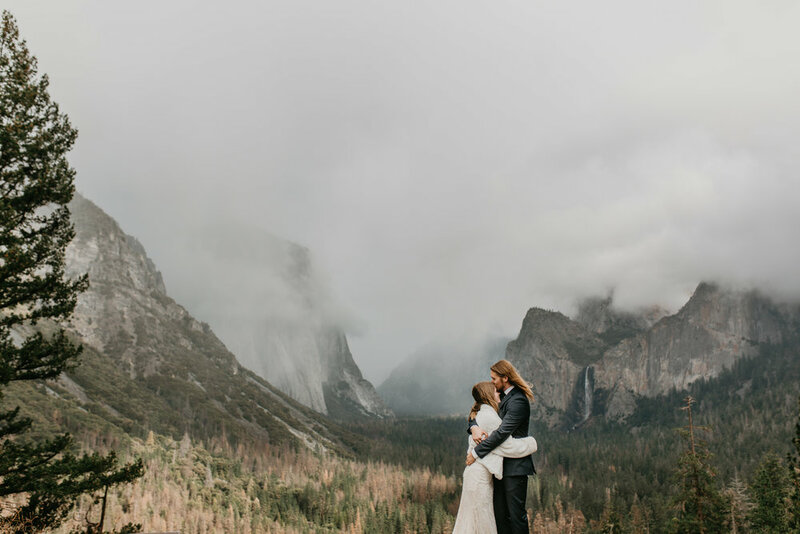 If this inspired you to plan a winter elopement in Yosemite national park, or Yosemite intimate wedding that’s foggy and moody, I’d love to hear what you’re dreaming up. Get in touch below and let’s chat!